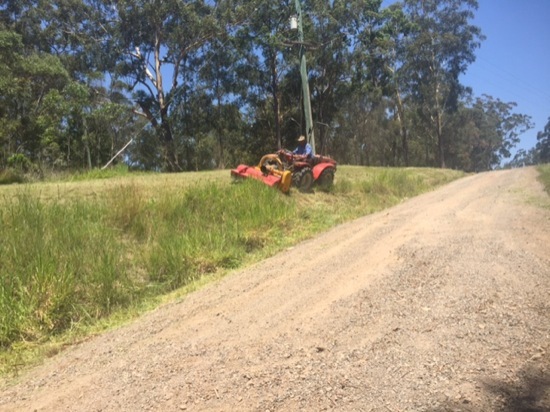 Extreme Mowing, as the name suggests, can do all sorts of mowing on steep and dangerous blocks. It’s what we do. And to be fair, we get the job done when other mowing contractors can’t (or won’t do it). Just recently a client told us they had received 3 quotes from other contractors and each time they were told that the job was too difficult and way too steep for them to do it. We have a range of specialised tools, equipment and operators who can tackle almost anything. We say almost because just maybe there’s something out there we can’t do, we just haven’t found it yet. Whether you have a steep backyard, maybe an embankment or terracing or something more extreme than that, we have got you covered. And we’re not afraid of some rocks, woody weeds and hard to access properties. 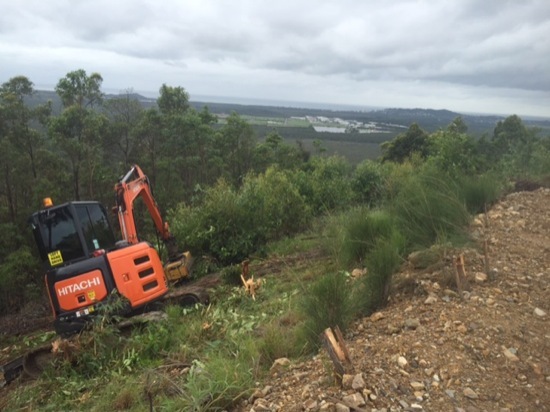 We service the entire Sunshine Coast and are right at home in those hinterland areas where the grass grows high and the land is steep. We can almost always find a way to get the job done quickly, safely and for a fair price. Below you’ll find some of what we can do with those steep and dangerous properties. A really steep suburban block. The image doesn’t show how steep, but our all-terrain mower was able to do the job no problem. Got something really steep and rough? 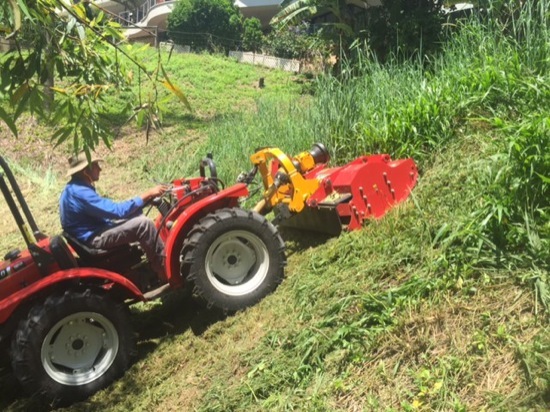 Then our “made for slope” mowers can get the job done. When the job gets really steep and extra dangerous, we can send in one of our excavator machines and get the job done. This slope was over 40 degrees and really rough! 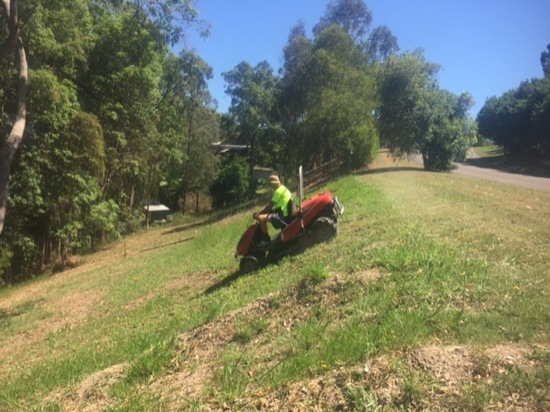 If you need specialised mowing and you’re tired of doing the hard work all by yourself, then give us a call and let us do the hard work for you. Time and time again we hear stories of clients spending, one, five and even twenty years busting their hump doing their own mowing. Worse, they are doing this with equipment that is not designed for the task. It’s dangerous and it can lead to injury or much worse. Leave it to the experts. Give the Extreme Team a call on 0490 045 805 today and we will solve that problem for you.